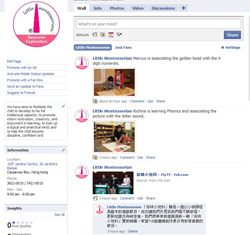 Venue: Central Campus 3/F Mandarin Building, 35-43 Bonham Strand, Central, Hong Kong. Let’s start to teach your child in the Montessori way! "Terrible 2s"? How do raise the best 0-3yr child? What does your 0-3yr child need? What do you do to support their development? We are delighted to announce our brand new “Montessori Home Education” program for you. It is easy for you to prepare a Montessori learning environment at home for your child with the assistance of our professional team ! Should you have any enquiries, please call us at Little Montessorian hotline: 3621-0010. We invite you to be a fan on our facebook page, so you can easily keep up-to-date about our recent activities and classes. 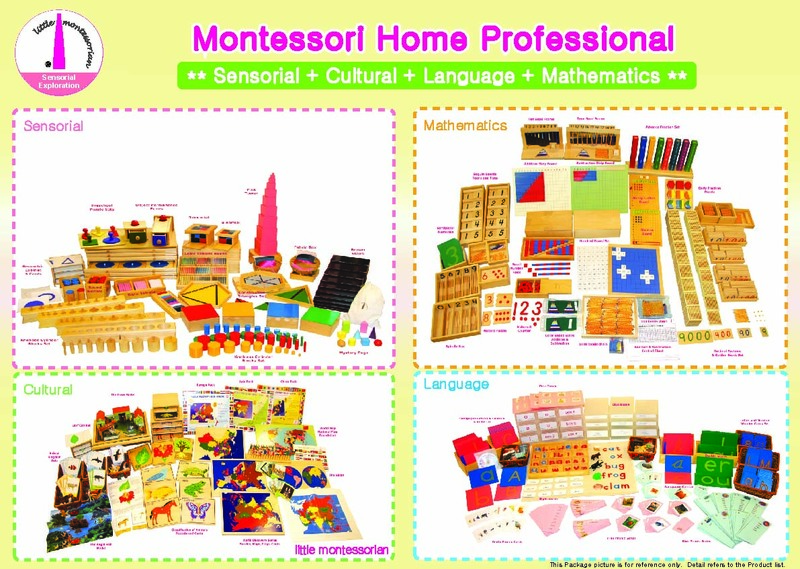 These programs will help you to understand the Montessori Approach. I joined the home schooling package 2 months ago. I want to thank the teachers and education consultants for offering me professional advices and helping me to set up the Montessori corner at home. My girl loves it! "Tomas has become so much more independent and always comes home with a smile. Thank you DMS for being so caring and supportive towards my child". "Thank you DMS! My duaghter is finally enjoying mathematics. I can't believe she is now completing additon and subtraction problems... she is only 3 years old!" "Simply put Discovery Montessori School is a lovely school. Our daughter loves the school and her teachers. We have been touched by the amount of passion the teachers have for teaching. More importantly, the teachers at Discovery Montessori truly care about the well being of each and every child." 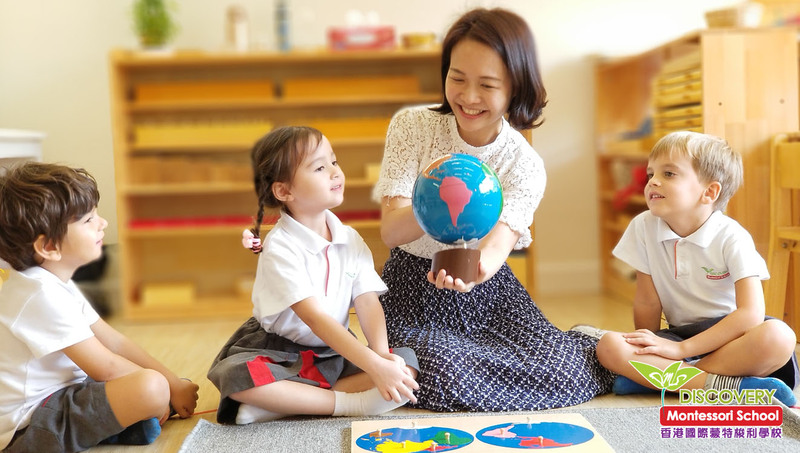 "Discovery Montessori School is only new to Discovery Bay, yet it has exceeded all my expectations. I am just sad that my children can't stay there forever." "My son is now in Primary 1 after completing a year at Discovery Montessori School in DB. He is reading at a 2nd grade level where other children are still practicing their ABCs. We just couldn't be happier with our decision to send Matthias to Discovery Montessori." "My sons' concentration power has improved a lot since going to DMS. They used to wander around the house picking up and putting down toys but now they've learnt to work at toys one by one and most thankfully, put them back before moving on. They've also learnt discipline and manners in a fun and light hearted way. They have learnt to say please, put their hands on their laps as well as taking turns. My sons have also learnt other useful skills (useful for kindie interviews!) like answering to their names, sorting, passing things etc.. The teachers seem to really understand the kids' stage of development, their abilities and limitations and have tailored things accordingly. My sons now sit right through circle time and seem to really enjoy it. I personally enjoy the art projects most. While simple enough for the kids to do for themselves, they always incorporate different materials and textures for the kids to experience and explore. A big thank you to the staff at DMS for making our classes so enjoyable!" The passion and care of DMS staff and teachers has made Andre's transition from the Discovery Bay campus seamless and very successful. We are extremely glad to see Andre enjoying and looking forward to school every day. It is impressive to see how structured and organized DMS Central is and keeping parents well informed of the progress. We are very pleased to see the great progress that Andre has been making: being more independent, able to express himself better and able to better interact with others. Overall, we are very happy with DMS Central and highly recommend to other parents. Last but not least, special thanks to you Katie, Ms. Asha, Ms. Hannah, and Ms. Catherine for all your help and care for Andre. A couple years ago I was asked from one of my favourite mentor – where is the best place for a child to learn most of their life time knowledge? The right answer is “HOME”. It’s a place where your child learns the most from, a place where they spend most of their life time in. Hence, the ones who spend time at home are the teacher of this child. Your child is born to be like you, they absorb all good and bad that is from you. 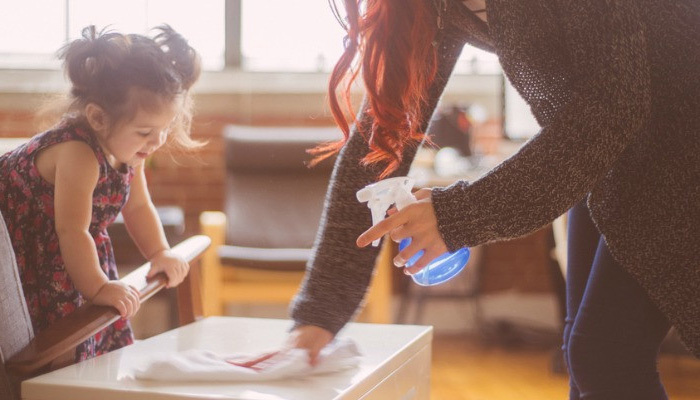 We as a parent has brought them into the world and all parents would like their child to be independent and most importantly to be independent as soon as they can be. We were approached by one of the consultant from DMS when our daughter was 6 months old. From then, our home has only Montessori materials and books from library. The parental classes provided are very helpful and have helped us to direct our child to use. For our daughter, the materials are her “toys” and there are different ways to stimulate her interest in learning. For us, it is a medium to bond with our daughter. We are very pleased about how our child mastered her fine motor skill so easily and she can write on paper when she was 18 months. She loves to entertain herself with the materials and we love to direct her into new ways in the materials. I bought your product from UNY department in Hong Kong and am very impressed about the quality of your product and teaching aid provided in the package. Thank you. I bought a few of your Mathematics products from SOGO last week. I’m so impressed that my daughter understands the addition and subtraction concept very easily through manipulating the tools. DMS can pride itself in having cherry picked their teachers to fulfil these tall requirements. 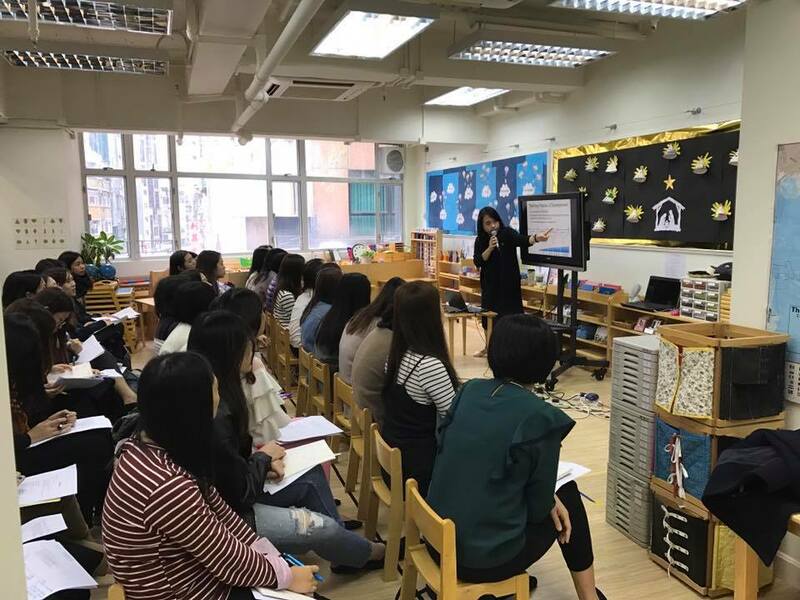 A tailor made teaching approach to each kindergarten child seems formidable, but happens in their classes. In his two years in DMS our son has grown by leaps and bounds. We have seen him swell in confidence, acquire excellent social skills, experience the joy of learning and further develop his inquisitive mind. His excellent preschool experience has laid a strong foundation for his future and opened his mind to the limitless possibilities this world has to offer. Thank you DMS for moulding our little boy beautifully. We will miss you! I really want to thank you for recommending the Montessori tools to me in baby expo. My son really loves your products. He could concentrate for a long time when playing them and I’ve never seen him sit still for such a long time! DMS school presents a worldwide learning community of educators, students and families and emphasizes developing globally minded students, which is suits in well with our child. We believe that Victor has benefited a lot in the past year.DMS’s unique teaching methods that puts more weight in active learning in the early stage. As a graduate Victor had a fabulous year here. DMS educational goals are to provide the joyful and fun learning environment that Victor needs in order to have a happy childhood. They want to provide the education which is the most suitable with his talent. He can achieve his maximum potential in all different areas. That is why we choice Discovery Montessori School. DMS is absolutely the best choice for our kid. 'Our daughter has been at Discovery Montessori since she was 1year and 5 months, (she is now nearly 3). to learning another language (Mandarin).